Showtime has debuted an official trailer for the new documentary made by Laura Poitras, who won the Academy Award a few years back for her doc CitizenFour about Edward Snowden. Risk follows a different whistleblower, the infamous Julian Assange, who founded WikiLeaks and has gotten himself in all kinds of trouble over the last few years. 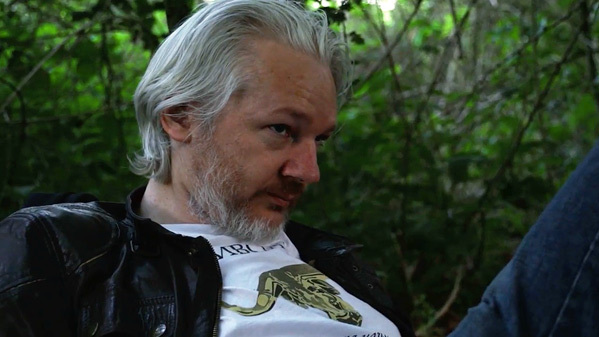 Similar to CitizenFour, this doc follows Assange very closely, with Poitras taking us on an intimate journey into the life of Assange and the situations he has put himself in. The film already premiered at the Cannes Film Festival in Director's Fortnight last year as a work-in-progress titled Asylum. I saw the film there and was not a big fan, it's nowhere near as good as CitizenFour, and I much prefer the other Assange doc titled We Steal Secrets: The Story of WikiLeaks made by Alex Gibney. But after the election of Trump, she seems to have added much more footage and given this doc an entirely new focus. Filmed over six years including through the 2016 presidential election and up to the present moment, Risk takes viewers closer than they have ever been before to Julian Assange and those who surround him. With unprecedented access, Poitras give us the WikiLeaks story from the inside, allowing viewers to understand our current era of massive leaks, headline-grabbing news, and the revolutionary impact of the internet on global politics. Risk is a portrait of power, principles, betrayal, and sacrifice when the stakes could not be any higher. It is a first-person geopolitical thriller told from the perspective of a filmmaker immersed in the worlds of state surveillance and the cypher-punk movement. 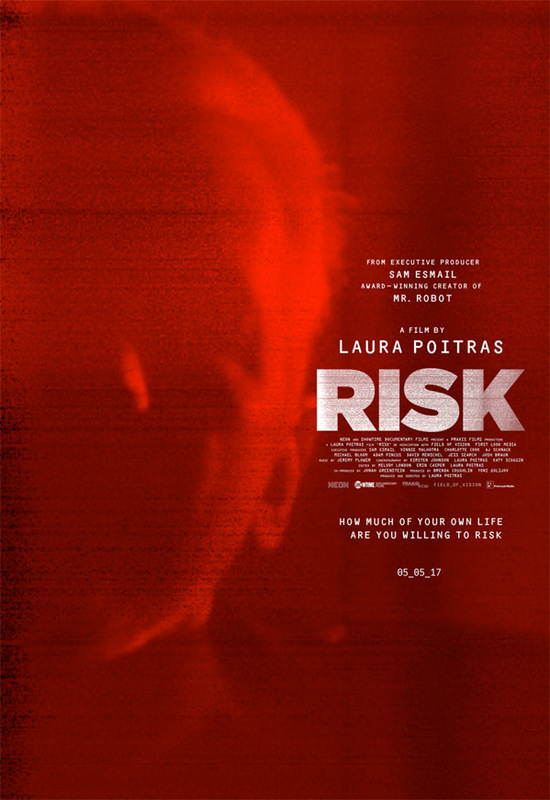 Risk is directed by filmmaker Laura Poitras, of the docs The Oath, My Country My Country, and Citizenfour previously. This first premiered at the Cannes Film Festival last year. Risk will be released later this summer in select theaters + on Showtime.